The Tomorrow's America Foundation was incorporated in 1979 as a 501(c)(3) non-profit foundation. Its founder and president, Michael Broome, has a BA from Appalachian State University where he was elected twice as student government president. Through independent study, he designed his major in leadership development. Upon graduation, he began his career as a motivational trainer/speaker and was sponsored by several North Carolina business leaders to deliver his messages to youth audiences. Michael’s vision was to create week-long conferences where teens and young adults could be taught more in-depth messages about leadership, character, achievement, and America. 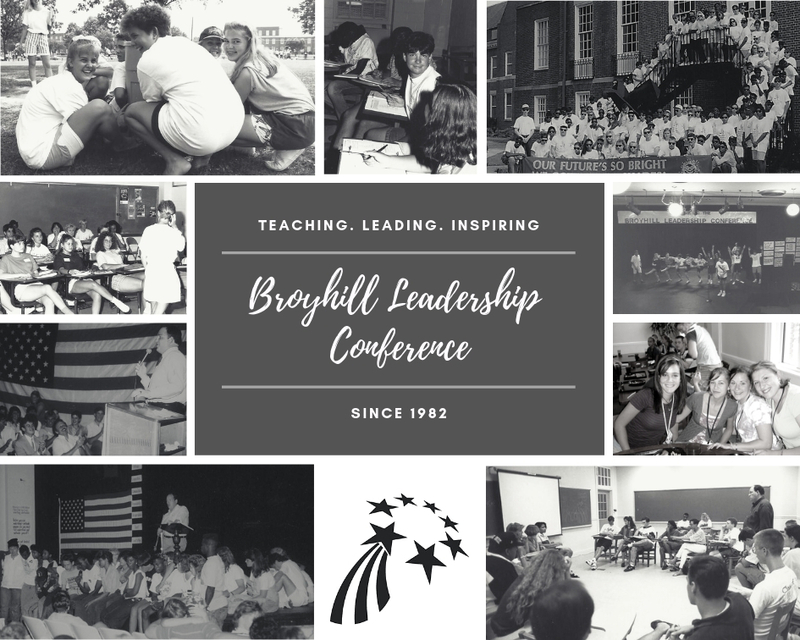 Beginning in 1982, the BROYHILL LEADERSHIP CONFERENCES have been held each summer. Since that time, over 30,000 participants from all over the United States as well as from foreign countries have attended BLC. The Broyhill Family Foundation has made this possible. The founder of Broyhill Industries was Ed Broyhill. He and his wife Satie had four children – Paul, Jim, Allene, and Bettie. Their children continue to demonstrate the Broyhill belief in perseverance, self-reliance, and service to others. We would like to give special appreciation to Paul Broyhill for spearheading the development of the BROYHILL LEADERSHIP CONFERENCES. Because of his vision, leadership, and love for youth, Paul was instrumental in turning an idea into reality. Paul’s successful career began as a Phi Beta Kappa graduate of the University of North Carolina at Chapel Hill. He joined his father’s furniture business and worked his way up the ladder of responsibility. Ultimately, he became President, Chief Executive Officer, and Chairman of the Board of Directors of the company he grew to be the largest privately-owned furniture company in the world at that time. Throughout the industry he held a reputation for being a builder and an innovator. Under his management the Broyhill workforce grew from 1,000 to 7,500 workers. He established an internal training program, known as Broyhill U, to teach management personnel how to be effective leaders. Since his retirement from the furniture business in 1985, Paul has continued to lead as Chairman of BMC Fund, Inc., Broyhill Investments, Inc., P.B Realty, Inc., and Broyhill Family Foundation, Inc. He has served on the Board of Directors of the American Furniture Manufacturers Association. In 2004, he was inducted into the North Carolina Business Hall of Fame and the American Furniture Hall of Fame. For almost 50 years Paul was married to Faye Arnold, a former Miss North Carolina. Faye passed away in 2002. She was a most gracious and loving person who was known for her active roles in many education and civic causes. They had three children – Caron, Claire, and Hunt. In 2007, Paul married the former Karen Rabon. Paul Broyhill exemplifies the leadership qualities we teach at the BROYHILL LEADERSHIP CONFERENCES. 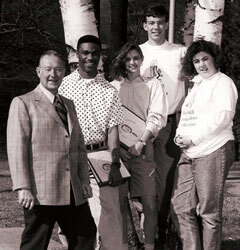 Early on, he recognized the value of guiding young people to maximize their potential. Through the Broyhill Family Foundation, he continues to support our programs. Truly, he can be called an American hero!